Come out to Thunder Tower on May 4th to visit with the friends that need homes. 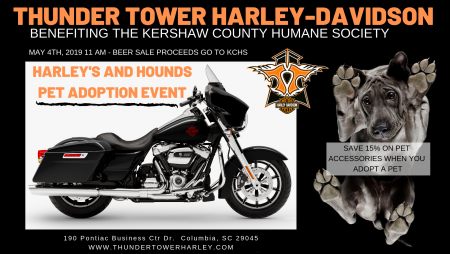 Kershaw County Humane Society will be here adopting pets to you and yours. We will also have a mobile vet here to help answer your questions. As always, food, music and beer will be available.